Maxfactor Lipfinity Lip Tint Pen - review + swatches. Some of you may remember this post I did on the Topshop Lip Marker - well it turns out it wasn't as great as I had hoped, within 2 weeks it was really dried out. Then I heard that Maxfactor was bringing out a whole range of lip tinting pens I thought I'd give the whole 'drawing on your lips with a felt tip' fad another go! There are 6 different shades, I picked up the most 'red' one named 'Royal Plum'. 1st one is what I could get out of the Topshop lip pen. Maxfactor on. It also lasts a long time - it's not fully waterproof but it dries fast and lasts a long time. It is definitely better (and cheaper) than the Topshop one, it's easier to apply and also you don't need to keep going over it. It's been a month now and it hasn't dried up at all which is great. Probably not ideal for a night out but definitely great for daytime/work/uni/whatever. Hope you all had a great weekend! Anybody watching the Oscars tonight? I will be staying up late watching a live-stream. Todays outfit post has been ready to go for about a month and a half now but I was waiting to use the main D.I.Y part of it when I guest blogged over at Rock N' Rose. Back view of my shorts - not just showing you all my ghetto booty. I know the whole world and it's wives has this shirts but I do really love it, it fits like a dream and goes with anything! SO if you want to see how I made the shorts head on over to HERE. Not been feeling to great today so going to keep this short and sweet. Once again it's the last few days before payday where I'm going through old pots of pennies to try and find money for the bus/food/petrol, in these days I also get major cravings for new things and start saving pages to my 'To Buy' list. 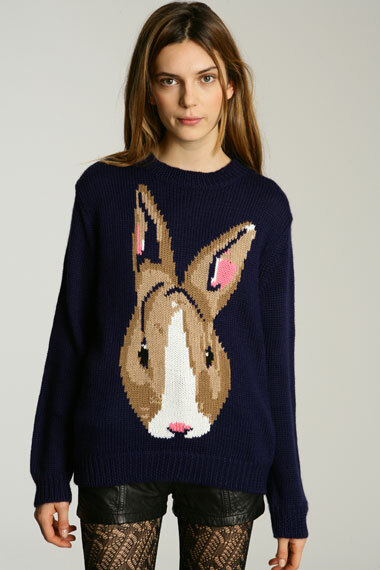 Peter Jensen Rabbit Knit Sweater - £95. I know its SO expensive and I'd never buy it but it's SO cute and I'd wear it 'til death do us part! 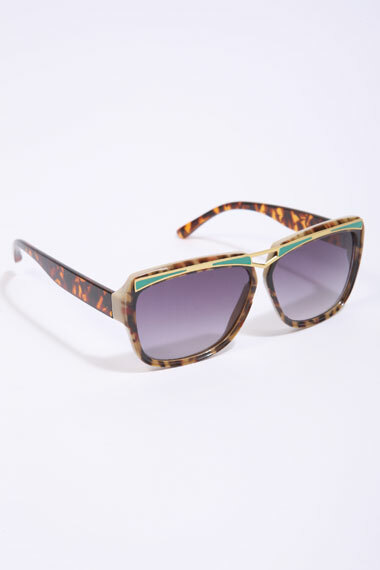 BLNQ Tortoiseshell Art-Deco Sunglasses - £25. Give me these! Give me these NOW! Also give me some sunshine to wear them in. 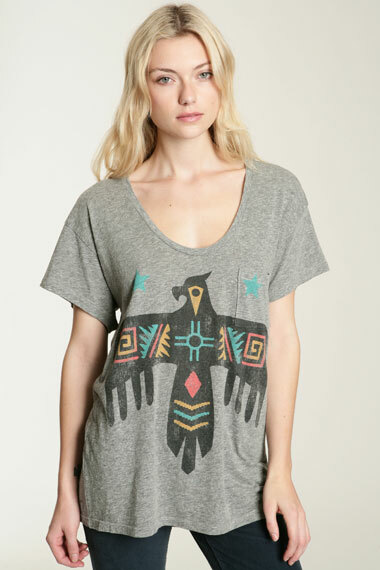 Truly Madly Deeply Eagle Tee - £30. I'm so into the Navajo/Native look I have been for so long and I'm really happy it's all coming back into trend this season! 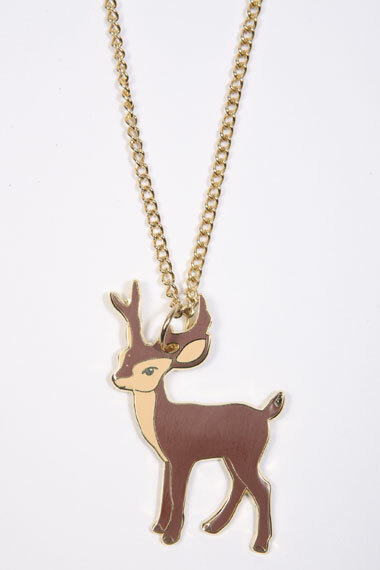 Kate Garey Deer Necklace - £16. Anyone would think I love animals right? Truly Madly Deeply Hollywood Tee - £28. Awh! I don't need this I just want this for the cute factor! 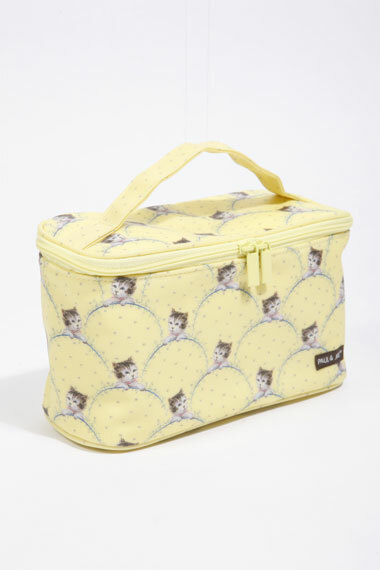 I always want to buy one of those Paul & Joe cat lipsticks but I know I'd never ever use it for fear of scrubbing the kitty's face off. Oh dear, so naughty looking and wanting things I can't afford! Just want to say a huge thankyou for all the uplifting comments on my last post, really made me very happy! Hope you all had an awesome weekend. Hope you are all having a fab weekend, I'm working which sucksss! In the week i went to see 'Black Swan' (again) which is awesome, and also 'Just Go With It' - it was okay but just made me depressed with all the over the top, lovey dovey stuff! Crop Stripe Shirt - Topshop NY $10 bargain! Just out of curiosity, I was wondering what you like to see on my blog and what posts of mine you enjoy? I know it's MY blog so I should just do what I want to but like I said - I'm curious! :) You can hit me up in the comments or on Twitter. Kat Von D 'True Love' Eyeshadow Palette - review and swatches. (L-R) Peanut, Benji, Rebekah, Lucifer, Cholita, Skiba, Babe, Missy. Peanut - a shimmy light gold/brown. Benji - a creme gold foil. Rebekah - a dark, subtle shimmery brown. Lucifer - a smokey black. Cholita - a petrol purple. Skiba - a shimmery dark purple. Babe - a light lilac. Missy - a white/silver that's very shimmery. Like I said in my lipstick review, Kat's products last SO long, the pigmentation is amazing and a little goes a long way! I bought this palette as I have dark brown eyes and the colours I already know suit me more. The packaging is great, comes in a box and a hard case with a mirror inside and brushes. I've used this everyday since I've bought it and Sephora don't ship to the UK - so I guess that mean's I'll have to book another trip! What are your favourite eyeshadows? Any you'd recommend for a Brown eyed girl? So it was the 53rd Grammy's last night, I love seeing who turns up, what they are wearing and of course who will do the best performance. Nicki Minaj and Lil'Wayne - Now head-to-toe in leopard print is not a look I usually dig, but minus the hair I think she looks banging in this Givenchy Couture get-up. Oh and Weezy is as suave as ever. Queen Lea Michele - She looks awesome although her chest area here didn't look as good as it did on the red carpet (take that as you will haha). I love the Pucci dress it makes her look more curvy and I miss those curves Lea! Snooki - Lets add some class to this shall we. 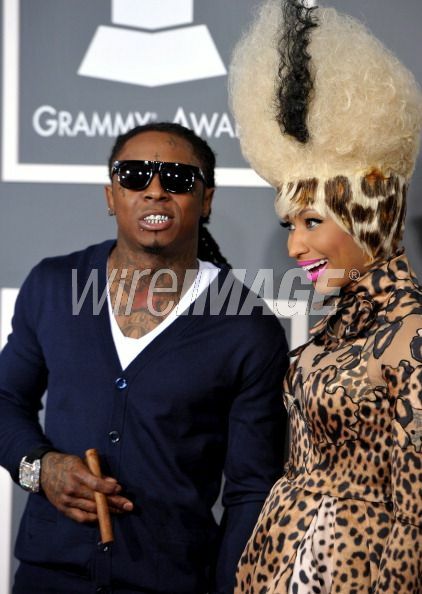 Naww she looked great I love some glitter but this Grammy's needed more PaulyD. Egg - Oh my gosh I cannot believe Egg turned up to the Grammys after that fight with Xtina last year....oh wait it's Her Holy Godga just in her causal get-up. Willow Smith and Lady Gaga - cutest picture of the night, I love Willow and I love Gaga - I may frame it. Please take note of the spikey shoulders. Insane. Hayley Williams - REALLY? Did you really have to skin Animal from the Muppets just to have this dress? Katy Perry - I thought it was something a 5 year old would wear, I love the bra thing but the rest is tacky and just weird for an awards show! That's more like it! this awesome Giorgio Armani dress makes up for everything. I think I need one. Another redemption! She looks amazing here in this bead-fringed outfit during her performance with Drake(who's date was his mom). Also her Dior dress during the Eminem performance was wonderful too!. Well there's my 2 cents. To be fair they all looked amazing. I'm sat here in a dressing gown and an old Smiths shirt so who am I to judge? Hope your all having a great Valentines lovers! Some of you may notice my blog has changed, basically I gave my friend my password, they did this. I'm sure I'll be bored again soon and change the header, it's just once you see the word 'Cowbiscuits' alot it starts to look like a totally foreign word! I've never actually shown my Tiffany Key necklace before but there it is, so cute and quaint. I got it for my 21st. Nike waterproof jacket - Nike outlet in Street. It was £6. Hope your having a fun weekend, I'm hungover but if you follow me on Twitter you will already know this. I was going through some old posts and came across THIS old post (as you can see it was done in OLD Blogger which was much, much better and nicer) about some of my favourite jewelry. 1. Anchor - Asos £8 - The rope bit on it goes all the way round to make the actual ring if that makes sense? As most of you know I have a anchor tattoo on my wrist and I just have a general nautical themed everything so it's perfect! 2. Cross - Asos £8 - Dun dun duuun the famous double cross ring, the whole world and his wife has one I know, I know. Also you can just see about my most awesome Hall & Oates t-shirt. 3. Love - Accessorize £6 - Bought this ages ago, as you can see I'm swearing at the thought of 'love' I'm so 'bah humbug' to all things valentine/love themed right now! Don't let the title put you off, II actually really dislike the whole Christian Audigier/Ed Hardy phenomenon, but at work we had in this make-up set which was £40, then went to £10 (£8 with my discount) in the sale - how could I not?! We had a tester box and I used it to sample some of the product and it was actually quite good. It comes with a mirror AND lights. Eyeshadow brush, blush brush and lip brush. 2 x Solid perfumes inc the new 'Love & Luck'. This is the 'bronzer' it's so light I really would call it more of a highlighter, it adds a nice dewy colour which is perfect for my skin, plus adds a bit of shimmer. I wore the white eyeshadow, with the silver glittery one and the black. The black is quite chalky more of a charcoal, as you can see all of them are quite shimmery. The eyeshadow lasts all day though and doesn't crease. The lipgloss I applied using my finger rather than the lipbrush, this is the 2nd one in the most red of them all, it stays on well. All in all I'd say it was definitely worth the £8 I paid but I mean the colours are nothing special, there are millions just like it out there, but it's quite nice having it all in one kit. The blush brush is really nice too. Have you bought any new make-up recently? This is a dress-up post, I actually took the photos before Christmas and totally forgot about them! This is not my first dress-up post, older readers may remember THIS and of course we have my TV dress-ups too! 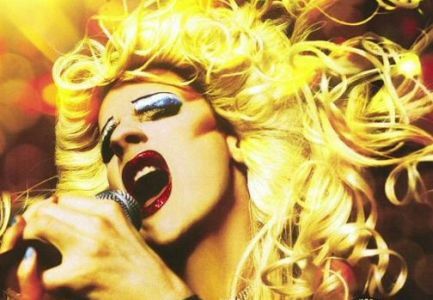 Some of you will know I am a huge drag queen fan, the make-up, costume design and time that goes into transforming men into stunning women in the name of performance, art and fun is incredible. My dress/make-up is actually inspired by the film 'Hedwig and the Angry Inch', although fictional character Hedwig is actually a transexual rather then a queen, but the rockstar performance is what it's all about. 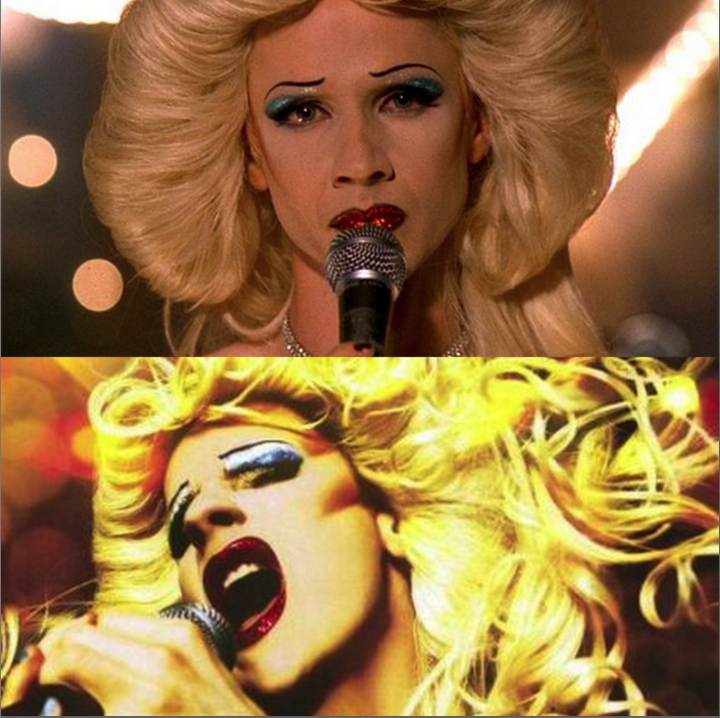 Hedwig and the Angry Inch - 2001 played by John Cameron Mitchell. 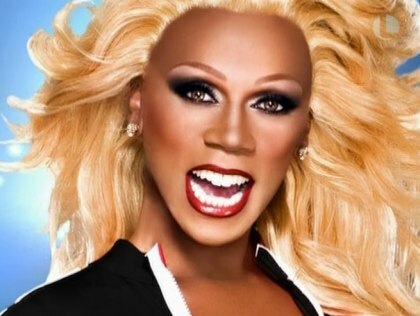 Of course probably the worlds most famous drag superstar is the eleganza extravaganza - RuPaul! I clipped my hair back, pulled out and sprayed. Although my hair is shorter (and real) so I didn't quite get enough volume! Shirt - Vintage via Ebay. 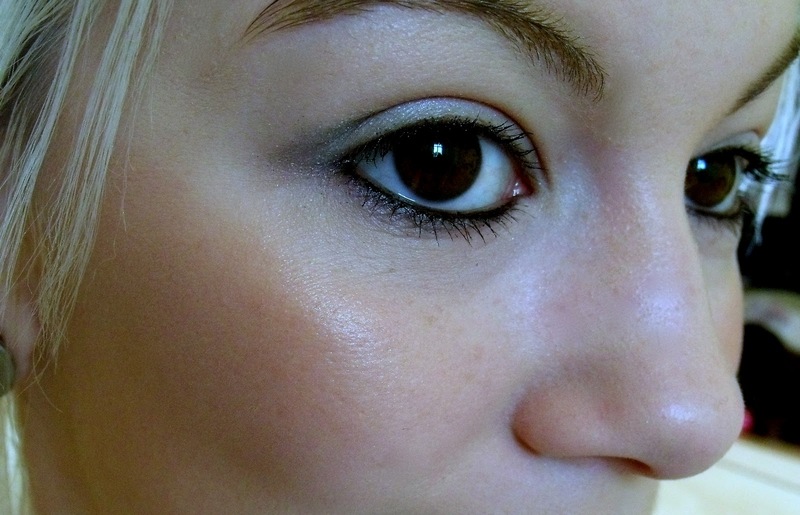 I used a dark blush to create add contour and emphasis on my cheek bones. With my lipstick I added gloss and pink eye glitter - the photo doesn't really pick it up but it looks banging! When my mum saw these she said 'who is that?!' haha!